A Graveside Committal Service for Mrs Valerie Norma Fay ‘Val’ LIGHTBODY, will be held at the Kerang Lawn Cemetery on TUESDAY (29th January, 2019) Commencing at 10.00am. A Thanksgiving Service will follow at St John’s Anglican Church at 11.00am. Family and Friends are invited to either or both Services. Very sad news, one of my mums best friends….now you can play scrabble again….deepest sympathy to the lightbody family…..another legend gone…..RIP Valerie…… Sarah Rice née Cummins…. 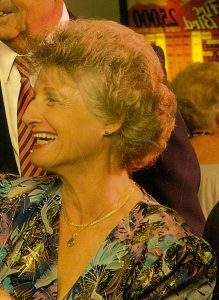 A beautiful lady – always cheery and chatty, deepest sympathy to the family, will be missed but always remembered.